Since long ago, most people have been keen on getting to know other people, hanging out with their friends when possible and enjoying their time being surrounded by a bunch of individuals that they love and feel close to. However, at the end of the day, many people seem to find their best friend in the body of a furry little animal that can’t wait to snuggle up and spread all the love it has. Anyone that has a pet or simply likes animals knows that they show that unconditional love that is hard to ignore. Old people sometimes say that until one has loved an animal, part of their soul remains unawakened. All the people that are having pets at home would agree with this, but would you? Has it ever crossed your mind that while you travel to see the world, you can also do some activities that will enhance your trip and make it more memorable? Well, since we started talking about the pure love of people and animals, we would focus more on traveling the world to experience the life of different animals. You might have thought about zoos and aquariums right away, but we’re proposing a different way of experiencing the world from the point of view of a particular animal, even though there are zoological parks that deliver a similar type of expertise in a great way. How many times have you heard that a person’s favorite animal is a dolphin? Maybe you’re one of them as well? In case you are, you have certainly not made a mistake in your choice since this animal is gracious, dear and beautiful at the same time. You’ve probably spotted a dolphin in the distance while sitting comfortably at the beach, or maybe it was your strong desire to see one in real life that your eyes have lied to you. A great place to see dolphins from a close distance is the big aquariums. However, for people that want to experience the real joy of meeting such a wonderful animal, there’s a great activity called swimming with dolphins, which you’ve probably already heard of. Swimming with dolphins has become an excellent attraction that is why it’s not so hard to find a first dolphin aquarium that provides such activities in the world. But where can you find this kind of water fun? 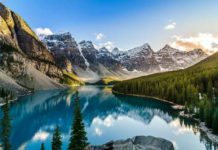 Well, if you’re going to America, you will certainly find such activities being provided in warm-weather destinations for animal lovers such as Hawaii, Florida, Mexico, the Caribbean and the close British Overseas Territory – Bermuda. 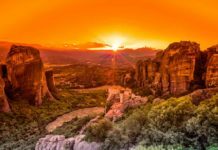 These destinations are quite amazing to visit because of their mesmerizing landscapes, so adding a fun activity such as swimming with dolphins to all of that will leave you speechless. This extraordinary feeling can also be felt in a Dubai dolphinarium in the United Arab Emirates, the destination which is known to be one of the most luxurious vacation spots in the world. If you’re heading to Turkey, you will also be able to quickly spot on a dolphinarium that provides the ultimate swimming with dolphins experience. 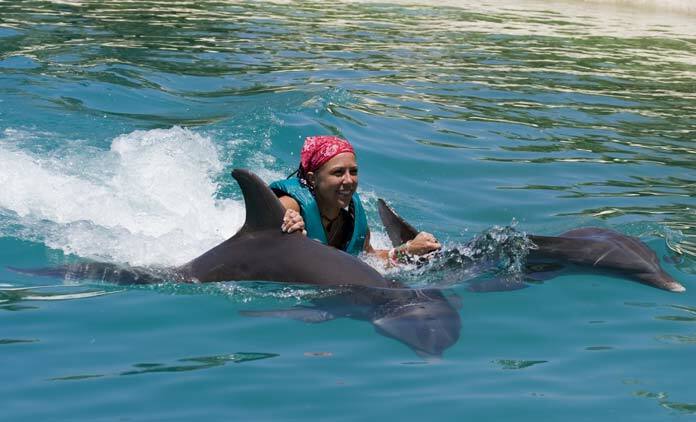 Not only that a visitor can enjoy the dolphin shows and the actual swimming with the dolphins, but it can also have the opportunity to participate in the dolphin-assisted therapy. Even though it is a controversial treatment, some people believe that swimming and interacting with dolphins can help a person improve from an illness or disability. Believe it or not, this isn’t just a slogan of a paragliding club created to promote their services and make you want to participate in their activities. Paragliding with eagles isn’t just a metaphor of how you’ll fly like the birds themselves, but rather a real event that is usually referred to as “parahawking.” However, parahawking is not something you can find in most parts of the world, such as the swimming with dolphins. This activity is mainly adopted and practiced in Nepal, South Asia. The parahawking project has been developed to intensify the interaction between people, who are usually the ones that like birds, and the birds of prey. This connection is of even greater meaning since it’s happening in the actual environment of the birds of prey, giving the opportunity to people to fly up in the air among them, feeling like a part of them and getting to know them in their surroundings. This is an especially great thing to do in Nepal since paragliding itself is something a person has to try at least once in life. And when you add up interacting with trained birds of prey up in the air, that will entertain you and guide you to thermals; you can imagine what an unbelievable experience you will encounter. Well, no more dreaming about it – travel to Nepal for the ultimate parahawking experience. Of course, if you still want to meet these amazing birds of prey, but you prefer staying on the ground while doing this, then you will also have the opportunity to meet your favorite birds, feed them and hold them in your hand. Horseback riding is something people used to do even without having to pay for it. However, this casual activity is considered to be quite popular in almost every country. What we’re suggesting here is to forget about the idea of horseback riding at a usual horse ranch, but instead look at the bigger picture: organized horseback riding tour in nature, through the woods, on the mountains, near the river and so on. This already caught your attention? If so, continue reading to find out the greatest places for this activity. Horses are lovely animals, and they are an actual example of how they can easily connect with a person and stay loyal towards him/her forever. But why would you choose horseback riding in the “wild” rather than in a regular horse ranch? Well, the thing is that this activity is not only about your pleasure but also about the comfort of your tour companion – the horse. If you go on a horseback riding tour, you will encounter the beauty of nature, while also having your horse enjoy the opportunity of discovering new places, while feeling the energy of the environment. 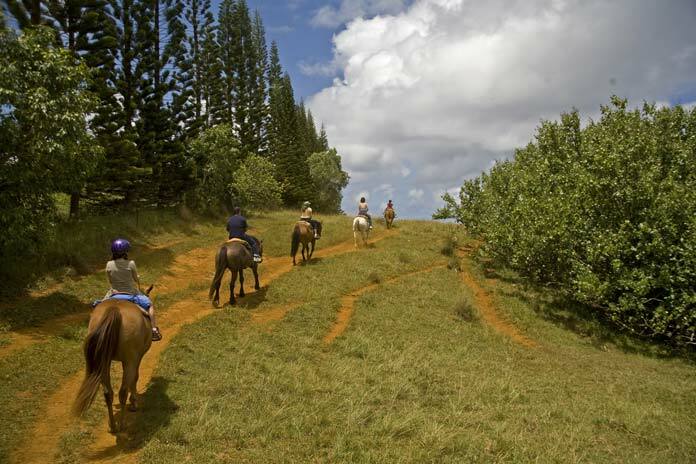 Eager to find out the best places in the world for doing such a great horseback riding tour? Think about visiting the lovely Tuscany in Italy, where you can enjoy the picturesque and magical horseback riding tour, accompanied by some excellent wine tasting afterward. How about experiencing the outstanding wildlife in Masai Mara, Kenya? Or you prefer getting lost in the spectacular woods of Quebec, Canada? All of these places guarantee an excellent horseback riding experience and are great destinations for animal lovers. 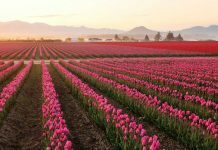 In these times of the so-called digital era, one even though highly “connected” can quickly lose the genuine connection with nature and the living species. That is why we need to stop and think about it for a second, try to enjoy life as much as possible and focus on the things that matter. 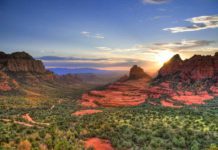 For travelers that are animal lovers, this is an excellent way to reconnect with the things they truly appreciate in life and these activities and destinations for animal lovers can provide them with a lot of fun. Eager to try any of these activities? Share your wishes and experiences with us.